The Loveland Chamber of Commerce has strengthened our business voice by partnering with a number of organizations to foster the overall economic development efforts in the community. As a community college, Aims is very active in the community, serving on many committees and partnering with the Loveland Chamber of Commerce. Aims is one of the largest and most respected colleges in Colorado. With an annual enrollment of 14,000 students and more than 2,000 course offerings, Aims is truly a comprehensive two-year college. Above all, Aims is focused on the success of each student with their slogan, "if you want to succeed, we won't let you fail." 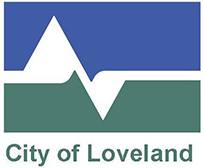 The City of Loveland and the Loveland Chamber of Commerce partner in many areas to strengthen the economic vitality and maintain the outstanding quality of life Loveland residents' value. From community-wide events, to supporting our businesses, the Chamber and the City work together. 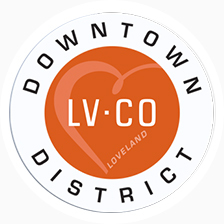 The Loveland Chamber of Commerce played an active role in the development of the Loveland Downtown Partnership (LDP) and remains a visible participant. In partnership with the Chamber, the LDP will continue to work toward attracting more businesses, events and visitors to downtown Loveland. Good government requires staying involved, and we consider it a priority and conducive for good business. 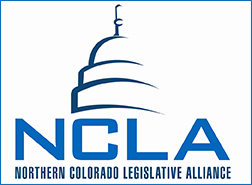 We partner with the Northern Colorado Legislative Alliance consisting of a 21-member board of directors, the joint public policy advocacy effort of the Loveland, Fort Collins and Greeley chambers of commerce, Northern Colorado Economic Development Corporation and Upstate Colorado Economic Development. The cooperation has resulted in a more efficient and timely response to the needs of businesses in the northern front range communities. The board is autonomous and meets twice a month during the legislative session. Each year the cooperative board identifies the issues they want to focus on during the upcoming state legislative sessions. Members of the NCLA have been successful in their efforts to be heard at the state level. Loveland Chamber of Commerce representatives who serve on this committee include Mindy McCloughan, Loveland Chamber of Commerce; Abel Chavez, Qwest; Steve Olson, B2B CFO; Carol Salter, McKee Medical Center; Bill Wangnild, Wangnild Real Estate Company, Inc.; and Mark Weaver, Open Door HR Solutions. We share representation on each other's boards. The Chamber of Commerce and the Thompson School District work together in many ways including hosting the annual New Teacher's Breakfast, participating in the Business to Work Experience program, and assisting in other community projects, such as Help Kids Succeed School Supply Drive. In addition, a representative from the district serves as an ex officio member of the Chamber Board of Directors. 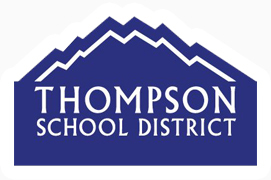 The Thompson School District serves more than 14,000 students at 18 elementary schools, five middle schools, and five high schools, with more than 900 teachers. The district is a leader in the area of modernizing curriculum, re-designing testing, and aligning both with state academic standards.